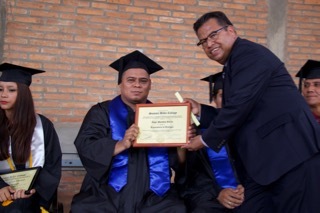 On June 19, twelve people graduated from the Summit Bible College extension we have in Nayarit. 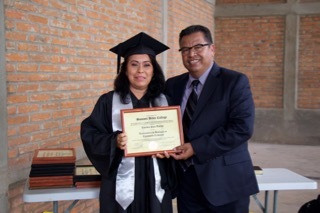 After two and one-half years of studying, some received Associates Degrees, others received Bachelor's Degrees, and others received their Master's. 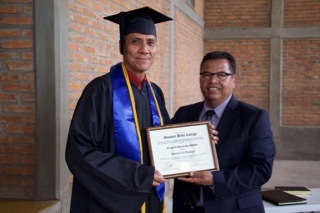 SBC takes into consideration of not only former education, but experience as well making these degrees reachable. 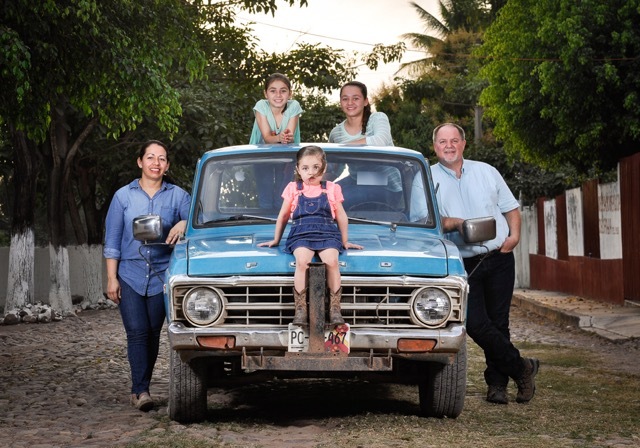 We are excited about this opportunity and have noticed that there are many pastors and leaders in Mexico who have not received a formal education. Those who have received previous education have been typically taught only the doctrines of their denomination. SBC encourages us to study what the bible says and what other religions and denominations believe. This will either reinforce what we've been taught or challenge us to re-think what we've been told is a correct interpretation. It only seemed fitting to invite Francisco to be the special speaker. 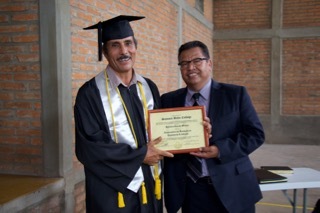 He has graduated with a Masters from SBC and was the Director of the Ventura extension for a few years. He shared about his ministries, the college, and delivered an excellent message to the Fathers as it was Father's Day. Pastor Amado Verdin, Rosamorada. 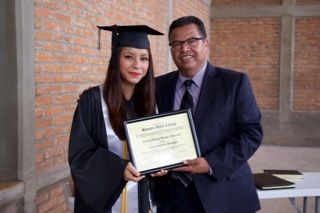 Bachelors of Theology in Christian Counseling. Lourdes Soto, Rosamorada. 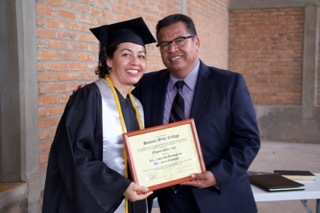 Bachelors of Theology in Christian Counseling. Maria Sicairos, Cofradia. Associates in Biblical Studies and Bachelors of Theology in Christian Counseling. Pastor Luis Vázquez, Cofradia. Honors Graduate. 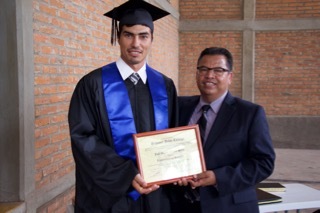 Bachelors of Theology in Christian Counseling. Victor Hugo Díaz, Cofradía. Honors Graduate. 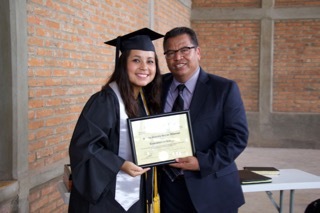 Bachelors of Theology in Christian Counseling. 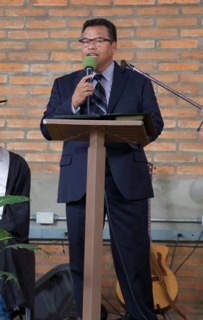 Pastor Horacio Garzon, Arrayanes. Honors Graduate. 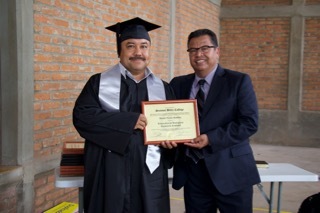 Bachelors of Theology in Christian Counseling. Efigenia Silberman, Cofradía. Honors Graduate. 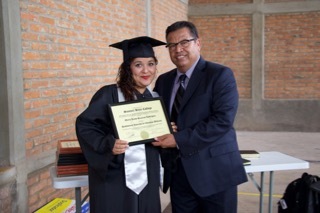 Bachelors of Theology in Christian Counseling. Sandra Garzón, Cofradía. Honors Graduate. Associates in Biblical Studies and Bachelors in Theology. Liliana Emilia Garzón, Arrayanes. Honors Graduate. Associates in Biblical Studies and Bachelors in Theology. Angel Martinez, Cofradía. Bachelors of Theology and Masters of Theology. Martin Garzón, Arrayanes. Bachelors of Theology and Masters of Theology. Pastor Gregorio Hernández, Cofradía. Honors Graduate with highest grade. Bachelors of Theology and Masters of Theology. We need $2,000 dollars. We need your help! Click here to join us in making a difference in young people's lives!! All contributions are tax-deductible! Greetings from Cofradía, Mexico! Praise the Lord for the seven people who were baptized this month at the river. Some were new converts while others have been visiting church off and on for nearly 20 years! We look forward to their growth! Click here to see the report. Bible School. Thank you to those who have responded to the tuition sponsorship request. All the students who were in need have been covered! Graduation is June 19! Drug Rehab Center: Please keep this in prayer as Pastor Amado and his team continue to reach out to young people while they try to find a place to rent and/or land to buy. Internet. Thank you for your prayers! I found out this week that there is a new internet service to become available soon in our town. Today, I visited with the company who is bringing out the service. The man says that for us to have internet at the mission base that will serve our needs, we would need to purchase a tower and antenna ourselves. It is available! We need $1,000 dollars for the purchasing and installation of the tower and antenna. Our monthly cost will be less than what it is now and the service will be much faster and not limited like it is now (The service we have now limits us to a certain amount of use. If we go over, we lose service for 24 hours). We are excited about this opportunity! Please consider how you can help. 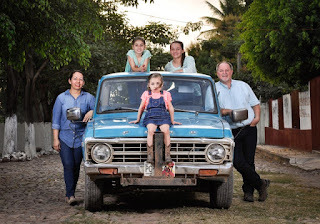 This will help us with our communications with the Mexican IRS (Hacienda), Reporting, Updates, National and International Video calls (Facetime, Skype, etc). This is an incredible answer to prayer!! Click here to help us reach our goal of $1,000 dollars. Geña and I will be joining you as we give also. San Diego. We have not gone to San Diego because we’ve been told the leaders of the bible study have not returned and it looks like they do not have plans to do so. We still lift up San Diego for Jesus! Bible School. Graduation will be on June 19. 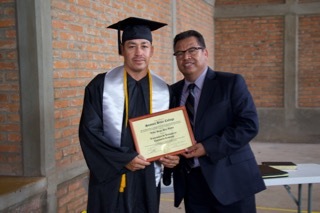 Our friend, Francisco Jimenez from Oxnard, CA, will be our guest speaker and we look forward to this first generation of graduates. The next term begins July 5. 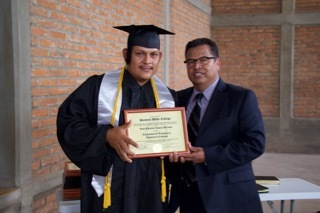 Drug Rehab Center: Pray for Pastor Amado and his team as they continue to reach out to the community. There are so many people in need who seek him out for help. Pray for finances to purchase land; he will initially need $15,000 to $20,000 US dollars to purchase a piece of land (6 acres). In the meantime, he is looking into renting a house in town for those who are coming to him. If you would like to help him, please let me know. Trip to the States: Pray for us as we head back to the border to turn in our truck permit. We will continue on to Washington for a few weeks then be back in Cofradia by the beginning of our youth outreach, EL RETO, which starts the last Saturday of August. We will be available to speak at your church, Sunday School class, home group, etc. We also would love to meet up with you for either lunch, dinner, or coffee. Respond to this email if you have time to visit.